This is the fourth article of a 4-part series that will look at those people most influential on movies in the 1980s. 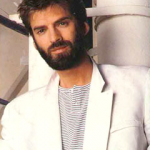 Click here to read Part I: John Hughes, Part II: The Brat Pack and Part III: Kenny Loggins. 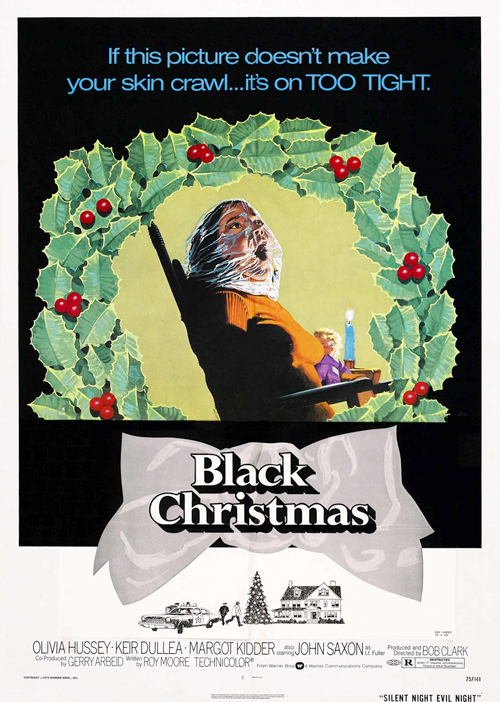 The slasher film as we know it today was not born in the 1980s, but rather in 1974 with director Bob Clark’s Black Christmas. Around the same time that Black Christmas was unveiled, more obscure slasher films were released that only devotees of the genre would easily recognize, save perhaps Tobe Hooper’s The Texas Chainsaw Massacre (1974). 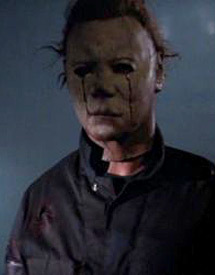 And then, in 1978, director John Carpenter gave us Halloween, with its backstory of a troubled youth, its pretty female target (Jamie Lee Curtis in her first role), and its unstoppable masked killing machine, Michael Myers. 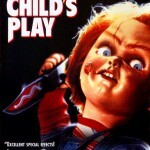 As horror films go, it was excellent. As slasher films go, it was close . . . but something was missing. 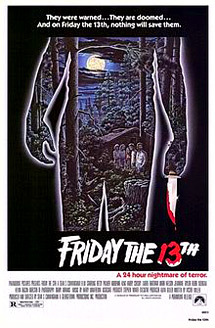 Enter 1980, and the film that used the foundation laid by Black Christmas, and the framework constructed by Halloween, to build a haunted house called Friday the 13th. 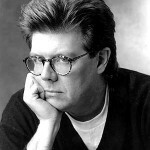 What director Sean S. Cunningham realized would make a better slasher movie was not just a higher body-count of prettier victims (because he had that, too), but a higher body-count of prettier victims who found themselves as a collective target, yet eliminated one at a time. In this case, they were camp counselors (including a young Kevin Bacon in one of his earliest roles) trying to reopen a camp where something horrible had occurred years before. Instead, they found themselves being stalked . . . and murdered . . . by Jason Voorhees. Thanks to the popularity and success of these two films, the Slasher Era found itself in full swing, with sequels and rip-offs galore. And just when you thought everything had been done, Wes Craven decided to improve on the slasher film by giving the slasher not only a voice, but one hell of a personality. 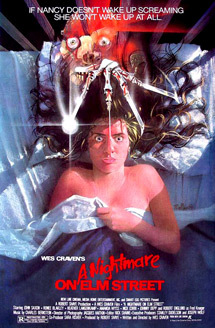 In 1984, Craven introduced the world to Freddy Krueger in A Nightmare On Elm Street. 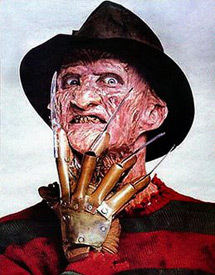 All of the elements were there, from the unstoppable killing machine to the high-victim collective to the pretty cast (including the prettiest of them all, Johnny Depp, in his first film role), but the new element of the wise-cracking Krueger gave the audiences a choice to stay the traditional course and root for the victims, or try something new and root for the killer. 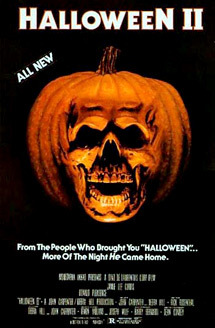 This, too, ushered in rip-offs where the body counts grew, but so did the personalities of the killers, to the point that slasher films became as much about the hamminess of the murderers as they were about the terror those murderers caused. But while most of the posers are long forgotten, with only a few novelty acts lingering in the memory (Chucky and Pinhead come immediately to mind), Michael and Jason and Freddy remain as memorable today as they were then. They dominated the decade like no other trio of characters. Their combined franchises account for 26 films, nearly two-thirds of which (17 in all) were released in the 1980s. 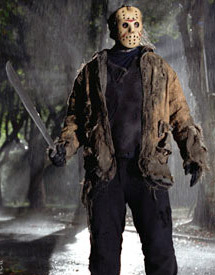 The slasher film is still around today, and the basic components are still there. And I suppose only time will tell if any of these current films will launch careers the way the 80s slasher flicks launched Curtis and Bacon and Depp. Regardless, no matter how prettier each cast gets, and no matter how gorier each violent act gets, and no matter how hammier each killer gets, none will compare to the Golden Age of the Slasher Film – the 1980s – and its Unholy Trinity of Michael, Jason, and Freddy. Without them, and particularly without them in the 1980s, the horror landscape as we know it today would not exist.